 Clemson wins it first ACC Championship since 1991 and its 14th overall. 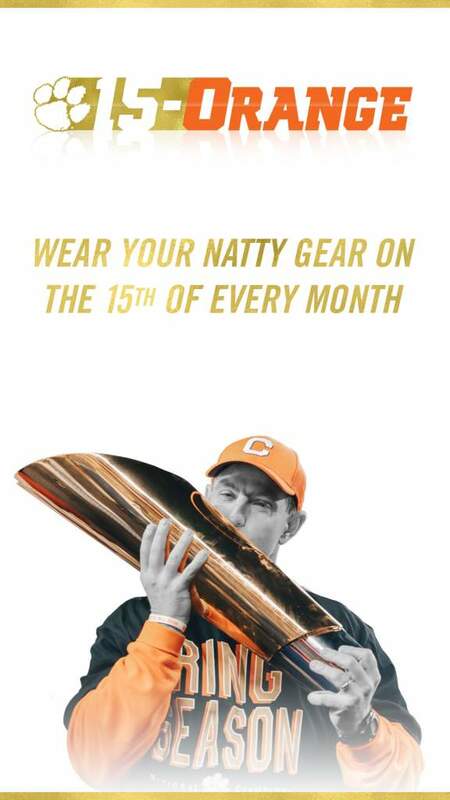 Clemson has more ACC titles than any other school.  With tonight’s win the Tigers will go to the Discover Orange Bowl. It will be Clemson’s first appearance in the Orange Bowl since 1981 when Clemson won the National Championship. It will be Clemson’s first appearance in a BCS level bowl since 1981.  This is Clemson’s first 10 win season since 1990 when Clemson was 10-2.  Earlier this week former Clemson great Chester McGlockton died in Stanford, CA. The 42-year-old was a starter on both the 1990 and 1991 teams. He wore number-91.  Tonight’s game equals the highest ranked team Clemson has beaten in its history. In 2003, Clemson defeated a third ranked Florida State team. Virginia Tech was third ranked by the USA Today poll entering tonight’s game.  When Clemson beat a third ranked Florida State team in 2003, Clemson was coming off a 28-point loss at Wake Forest. Florida State was coming off a 37-0 win at Notre Dame. In this game, Clemson was coming off a 21-point loss at South Carolina and Virginia Tech was coming off a 38-0 win at Virginia.  In 2005 Florida State had lost three straight entering the ACC Championship game with Virginia Tech. Virginia Tech was coming off a 38-point win at Virginia. Florida State won that game in 2005. Tonight, Virginia Tech was coming off a 38-point win at Virginia and Clemson had lost two games entering the game.  Clemson is now 13-0 under Dabo Swinney in orange jerseys and white pants.  Tonight’s victory is the fourth of the year against a top 25 team for the Tigers, a Clemson single season record. Clemson also defeated ranked opponents from Virginia Tech, Florida State and Auburn earlier this year.  This is the first time Clemson has beaten two top 10 teams in the same season since 1981 when Clemson was the only team in the nation to beat three top 10 teams.  This is the first time Clemson has beaten the same team twice in a season.  Andre Ellington gained 125 yards in 20 attempts rushing in the game and has exactly 1062 yards rushing for the season. That makes this the third team in Clemson history with a 1000 yard rusher and a 1000-yard receiver. The 2000 and 2007 Clemson teams also accomplished the feat. Sammy Watkins had 80 receiving yards tonight and now has 1153.  Rod Gardner’s record of 1084 in 1999. He now has 77 receptions for 1153 and 11 touchdowns. He tied the Clemson season record for touchdown receptions. Aaron Kelly had 11 in 2007. Watkins now has 12 total touchdowns, tying C.J. Spiller’s record for touchdowns in a season by a freshman.  Dwayne Allen had two touchdown catches tonight and now has eight for the season. He broke Bennie Cunningham’s’ record for touchdown receptions in a season in the process. Cunningham had seven in 1974.  Tajh Boyd finished the night with 240 passing yards and three touchdown passes. He had a fourth rushing, giving him 31 touchdown passes and five rushing for the season for 36 total in terms of touchdown responsibility. Those are season records.  Boyd also established the Clemson record for passing yards in a season and total offense in a season tonight. Boyd now has 3578 passing yards, ahead of the 3561 Charlie Whitehurst had in 2003. He had 268 in total offense tonight and now has 3764, ahead of Woody Dantzler’s record of 3661 had in 2001.  Chandler Catanzaro kicked his 20th field goal of the season in the first half. He became the eighth player in Clemson history with at least 20 field goals in a season.  Clemson had 195 yards of total offense in the first half, more than the 153 the Tigers had in the entire game last week against South Carolina.  Clemson had at least 200 yards rushing and 200 yards passing tonight, the fourth time this year Clemson has done that. The Tigers have never lost a game in their history when getting at least 200 of each. Clemson is now 57-0-1 when getting at least 200 of each in its history.  C.J. Spiller’s, who had a record 2680 in 2009. Watkins now has 2077 entering the bowl game.  Boyd was the MVP of tonight’s game. Clemson now has had the MVP of both of its ACC Championship games. C.J. Spiller’s was the MVP in 2009 even though Clemson lost to Georgia Tech that night.  Three coaches that Clemson Athletic Director Terry Don Phillips hired won conference championships today, Les Miles at LSU (he hired at Oklahoma State) Mike Gundy at Oklahoma State (hired at Oklahoma State) and Dabo Swinney at Clemson.